Info édition : Contient Green Lantern (2005) #26-28, Final Crisis: Rage of the Red Lanterns (2008) #1 et Green Lantern (2005) #36-38. Sous la jaquette, couverture noire mate avec logo de la série embossé et argenté. Noté "First printing". Résumé: The War of Light begins in this hardcover collection! 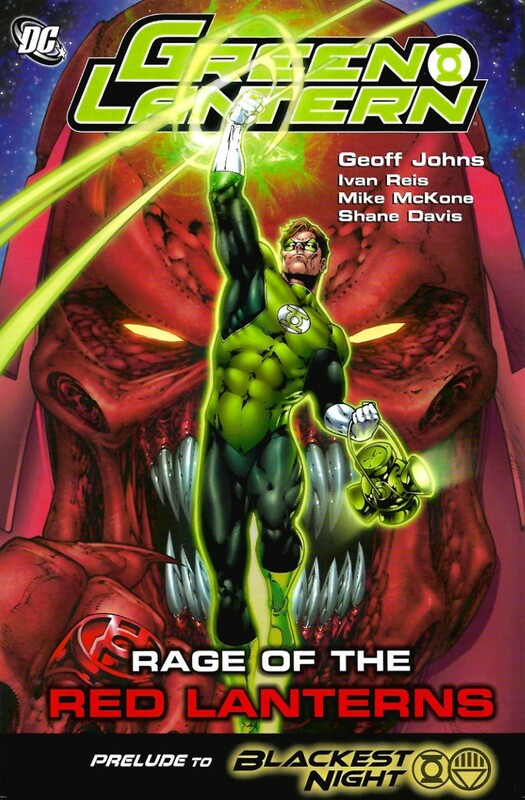 First, a ruthless, by-the-books new task force of Green Lanterns known as the Alpha Lanterns is born, creating tension within the heroic ranks of the Green Lantern Corps. 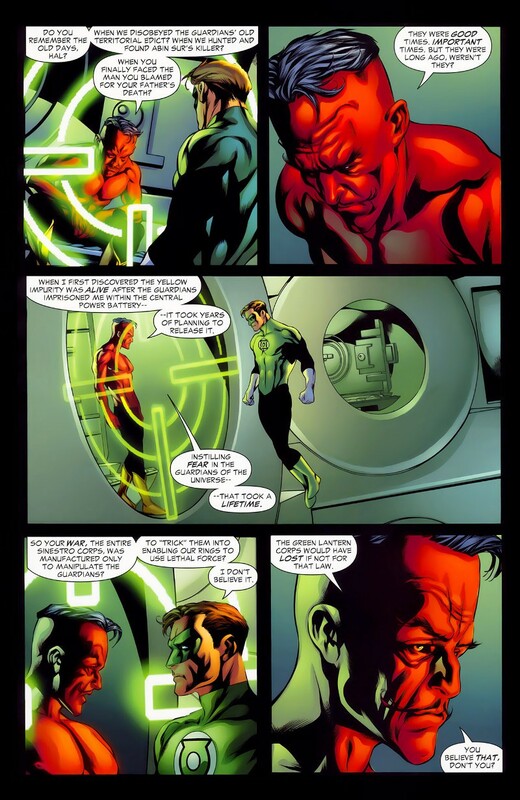 Then, Hal Jordan battles for his life when the Red Lantern Corps, a brutal brigade of monsters fueled by rage, attacks! 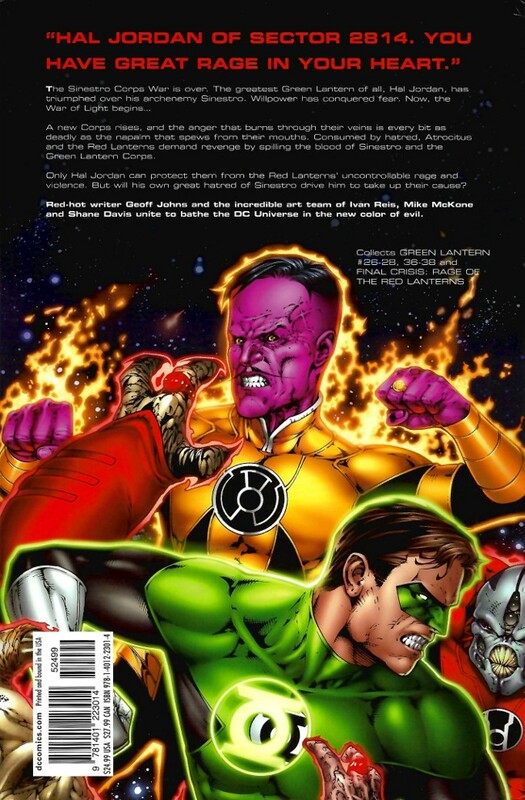 But nothing could prepare the heroes for the arrival of even more colored Lanterns!